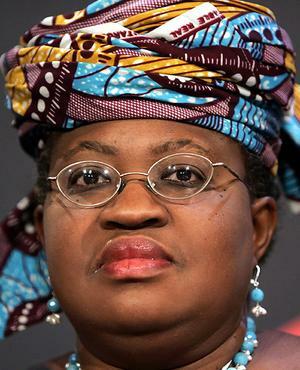 The Coordinating Minister for the Economy, Ngozi Okonjo-Iweala’s World Bank presidency nomination has left more than just a few tongues wagging, with many stating their beliefs in her being qualified for the job, and others who view it as a ploy by her to “escape” the country. Check out the top ten tweets on the issue below. @omojuwa: If you cannot successfully sit down and coordinate an economy of 160 million, how can you manage the World? @segundemuren: I knw some of us are close to NOI but let me say this, If I was Pres. at this critical time & she considered WB, I would fire her instantly. @nwosunnaemeka: #PDP Lifestyle has confused Ngozi Okonjo Iweala she thinks Nigeria is progressing and is dreaming of heading the World Bank. Wake up!!! @nnamdianekwe: Like I tweeted on satday…Dr.Ngozi Okonjo Iweala is part of Worldbank family…so she must create some kind of buzz around selection. Y won't she be president to u pple now? Especially when its Chude of Ynaija that NOI on twitter. None of u ll go scot free. Fools.